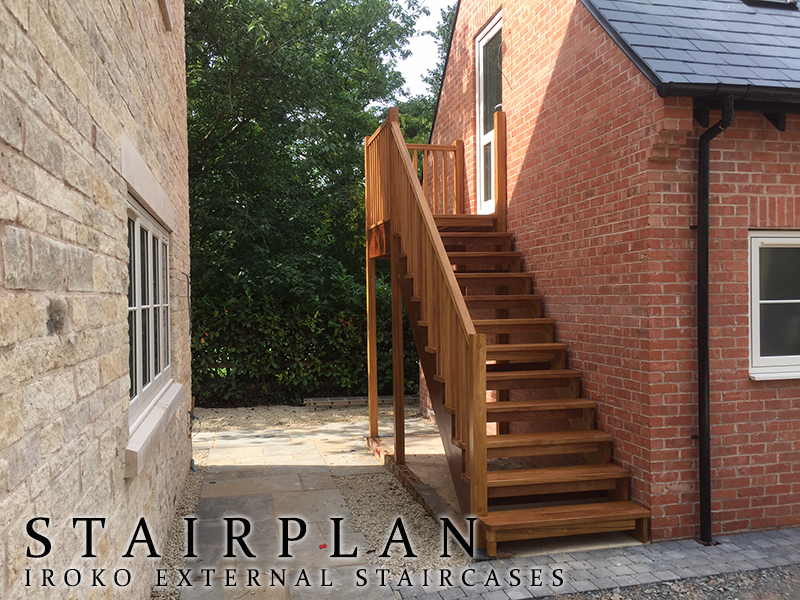 Iroko Hardwood staircases for outdoor use. 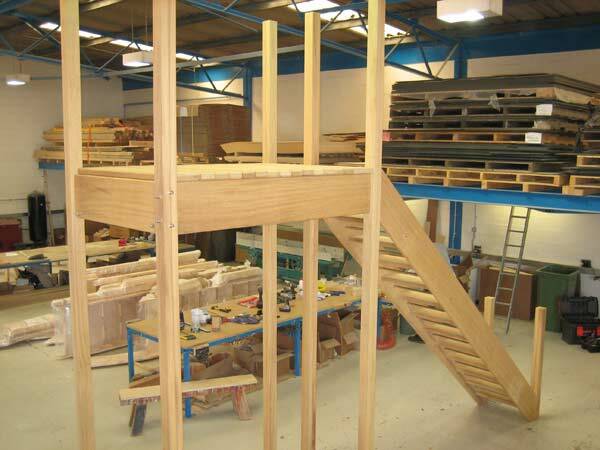 At Staiplan we manufacture Iroko hardwood staircases for commercial or domestic products. 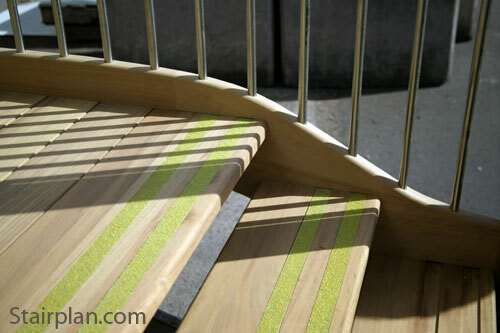 Outdoor staircases in timber should not be made in softwood ! 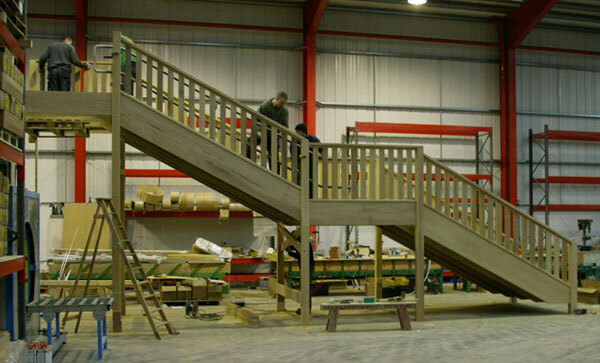 We will only produce outdoor staircases in Hardwood and Iroko is the best suited timber for this. 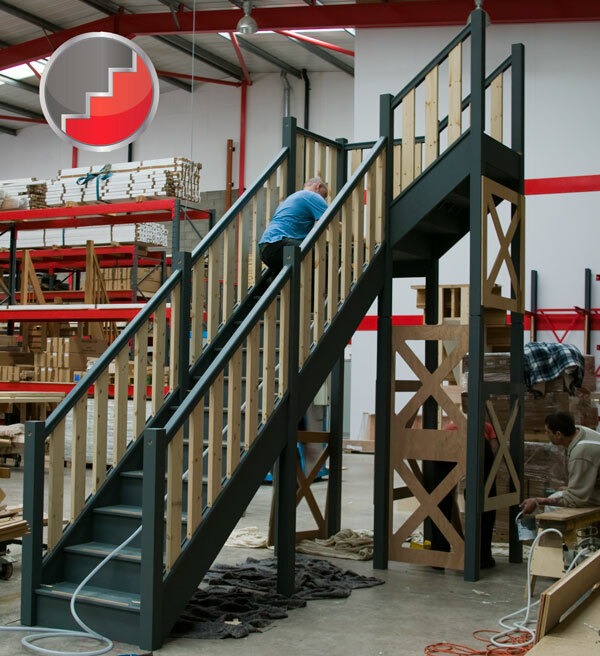 Aswell as supplying the Timber staircases we manufacture we also offer External spiral staircases from the two leading Italian staircase Kit producers, we also work with a number of Steel fabricators for External steel staircases. 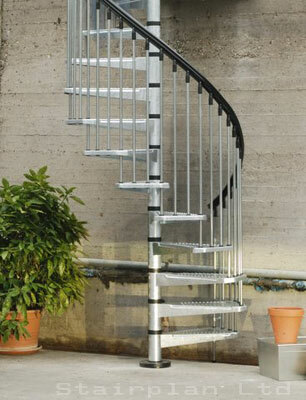 this is the Module Exterior Spiral Staircase we also offer the Civic Zink spiral staircase. 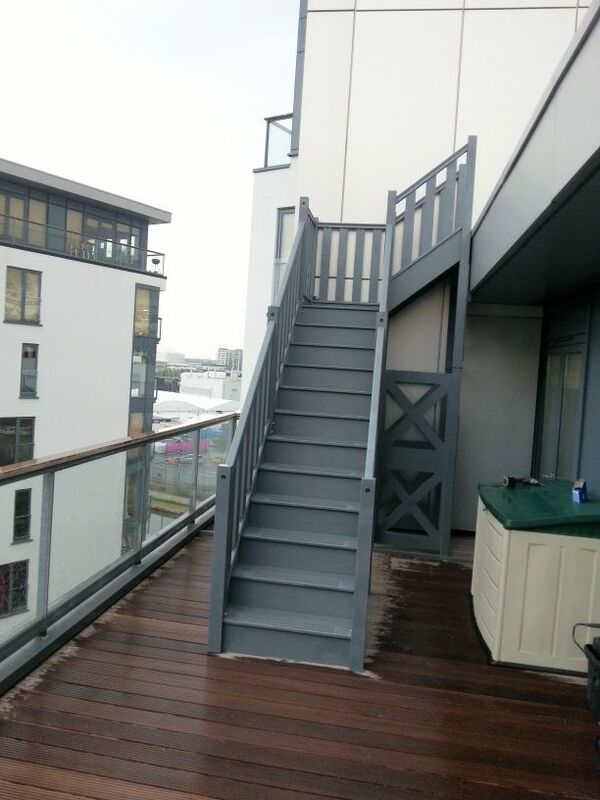 Above you can see another recent project - This staircase is a Temporary external staircase for a Foreign television broadcaster the use during the Olympics. 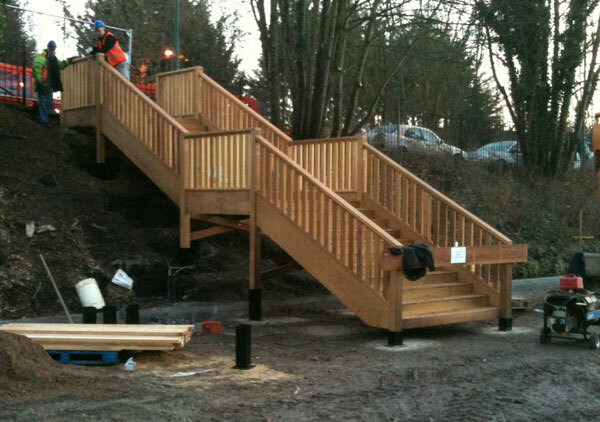 Above you can see the Temporary staircase installed.